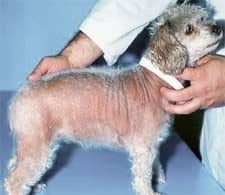 Cushings Disease, or Syndrome, is best described as a set of symptoms that tend to accompany the “over-production of Cortisol” within the body. Such a condition usually takes a significant period of time to develop. Cortisol is a hormone that is produced and released by the Adrenal Gland, located near the Kidney. Under normal conditions, Cortisol is released during times of stress, to prepare the body to undergo strenuous activity. It’s release, and exposure to the body, alters the metabolism, allowing the body to draw energy from stored sources (fats and sugars), and causes it to retain sodium and water. It puts the body in a temporary state of breakdown, in order for the body to quickly draw from the stored resources. We might best associate this with an “adrenaline rush”. With Cushing’s Syndrome, the problem stems from the fact that instead of short-term exposure to Cortisol, the body is constantly being exposed the hormone, leading to a persistent state of breakdown and debilitation. What causes the over-production of Cortisol? The Pituitary Gland, located at the base of the brain, secretes a substance which stimulates the Adrenal Gland to release Cortisol. It regulates its production by detecting levels of Cortisol in the blood. When levels are low, the substance is secreted, resulting in increased Cortisol. By far, the majority of Cushing’s cases in dogs are caused by the development of a tumor on the Pituitary Gland. Most often benign, and often very tiny, this tumor will begin to exert pressure on the Gland, causing an increase in the Pituitary secretion. This, in turn, causes the Adrenal Gland to release additional Cortisol. 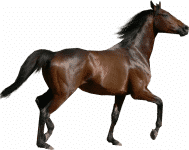 In some cases, the over-use of Steroids (artificial hormones), such as Cortisone, Prednisone, and others, lead to the same effect as the over-release of the Natural hormone, Cortisol. The Pituitary Gland perceives the elevated levels of the hormone, and shuts down its release of the stimulating secretion, often leading to a shrinking of the Adrenal gland. This is a temporary condition may be corrected by administering diminishing amounts of steroids over a period of months. Cushing’s often predisposes an animal to diabetes. In cats with Cushing’s especially, it is common for them to have diabetes as well. A number of cases of Cushing’s syndrome has been shown to be caused by long-term therapy with drugs containing corticosteroids. In this situation, the disorder is referred to as iatrogenic Cushing’s syndrome. The signs of Cushing’s syndrome include bilaterally symmetrical hair loss, a pot-bellied abdomen, lethargy with reduced activity, infertility in females, testicular atrophy in males, loss of muscle mass and weakness. Excessive thirst and frequent urination also occur. Other complications include increased susceptibility to infections, blood clots in the circulatory system (thromboembolism), high blood pressure, congestive heart failure, and central nervous system signs including behavioral changes and seizures. The diagnosis of Cushing’s syndrome is based on laboratory tests, especially those that measure serum cortisol concentrations before and after the injection of ACTH and dexamethasone. Advances in CT scans and magnetic resonance imaging (MRI) techniques have made it possible to visualize small tumors of the pituitary and adrenal glands. Spontaneous Cushing’s syndrome is most commonly treated with a drug called mitotane. The medication is intended to affect the adrenal cortex by selectively suppressing the production of glucocorticoids. 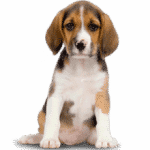 The drug usage protocol is fairly complex and thereby requires close Veterinary monitoring. The prognosis is guarded. The average life span with medical treatment is about two years. A drug called Anipryl (deprenyl) recently has been approved for treating spontaneous Cushing’s syndrome of pituitary origin. It appears to be effective in improving some of the symptoms of Cushing’s syndrome, particularly the reduced activity level. Pituitary tumors often respond to radiation therapy, but the availability of equipment is limited and the cost is high. Benign and malignant tumors of the adrenal glands can be surgically removed in some cases. Iatrogenic Cushing’s syndrome is reversible if the causative drug can be tapered and, preferably, discontinued. 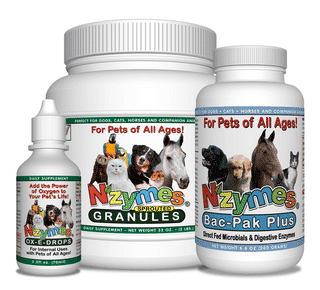 Key NZYMES® supplements can be significantly beneficial in the realm of improving or stabilizing certain bodily functions, especially immune-wise, for a dog going through a challenging process to achieve the proper balance that is the goal of Cushing’s treatments. Best Choice for dogs under 60 Lbs. Best Choice for Dogs Over 60 Lbs.